Owned by Iggi we came in contact with this 1985 JPS 323i a few years back when he came in looking to refresh the motor, after looking over the JPS, a plan was made for a better outcome than a quick refresh, so replacing the original motor (retained upstairs) with another 2.3 m20, he could drive and enjoy it while gathering money and special parts to do a full restore! 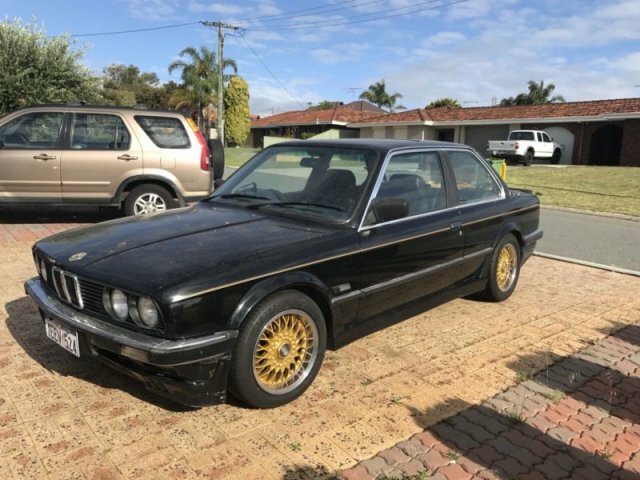 End of 2017 Iggi came to us with a problem, he needed to reprioritise his direction and family finances for a new home, understood…..I did my homework to the truth of e30 323i JPS cars built!….ok here it is – Neither BMW or JPS at the time kept any records of production , however there is a small group of enthusiasts know as the “JPS Registry” Run by a very knowledgeable man Stewart , after forwarding the V.I.N to him saw it fits in the middle of all that are already there, has the correct Recaro seats, cloth interior type, badges ,etc…The Real Deal! 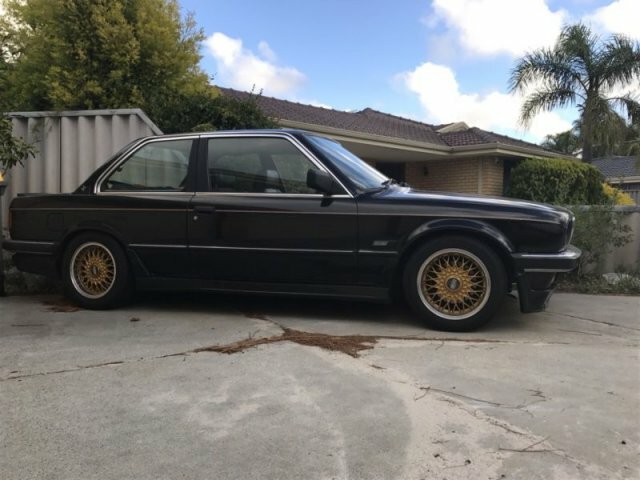 Update 1/2018- Only got this e30 in December last year so not much will happen in a rush, however some things needed to go from this car straight away, like the towbar kit and aftermarket steering wheel! 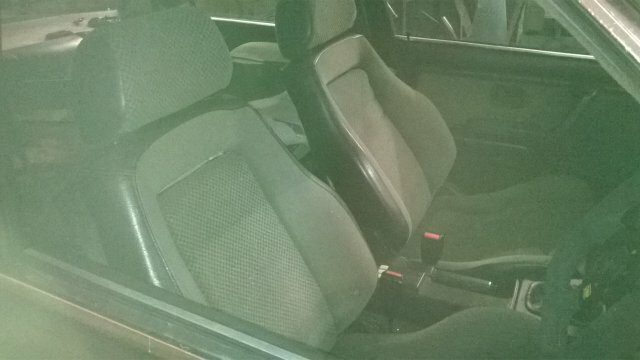 done now to drive it around, find all issues before strip for restoration!…. Update 4/2018- ..Done striped and delivered to panel beater Wayne!….a visit to the JPS showed a replaced rear mudguard section , but not finished off and painted properly, with the repair now exposed it can be done the correct way! Full rear panel removed and replaced along with rusted bottom side of mudguard in the boot. Update 5/2018- Another visit to the JPS to check progress. Update 6/2018- Another visit to the JPS to check progress. Update 7/2018- Today it was decided that to replace the left rear panel completely ,due to not wanting a patchwork repair! 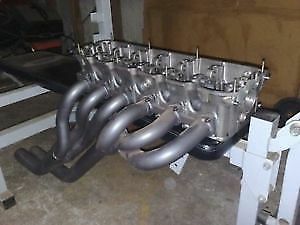 this is the only way to go for this JPS to be a good car again! 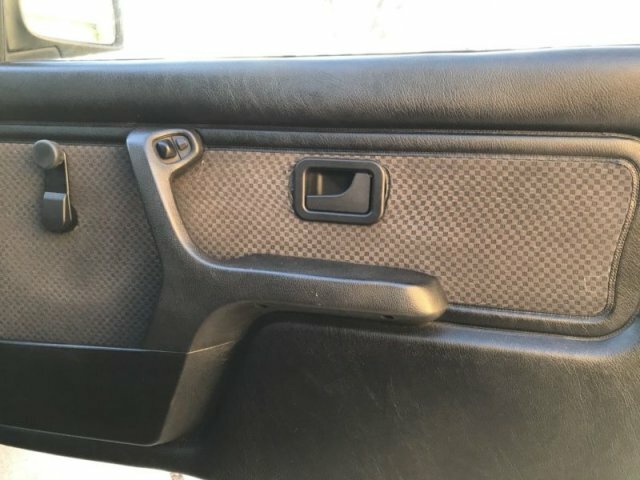 also replacing the drivers door with another without bog! Update 8,9,10,11 and 12/2018- Not much happening here on this one, with lack of reliable staffing, it has slipped into the background ,plus local jobs coming in still and health issues for Wayne! 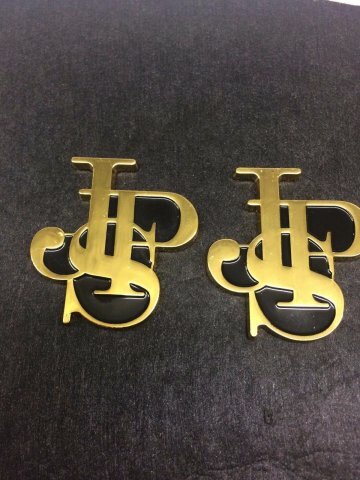 Update 1/2019 – JPS body waiting but…New Personal number plates…“323 JPS” ..picked up…just waiting on the car to put them on! 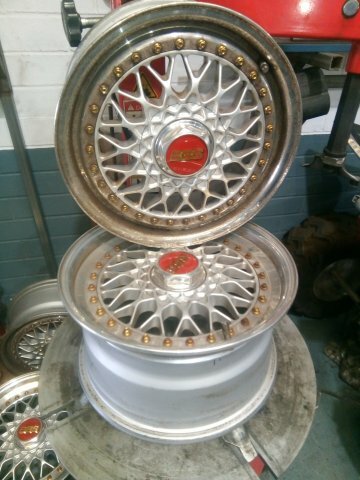 Update 2&3/2019- JPS body waiting , Meanwhile purchased Genuine(4×100) BBS RS 3pce Stagged 15″ that we’ll referb’ in GOLD! 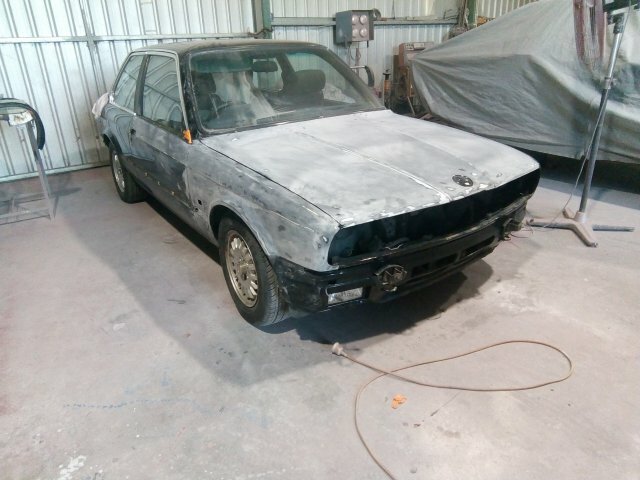 Update 4/2019- JPS still waiting in the background for bodywork, but just bought Hartge H3 extractors…..
Seek and Ye Shall find! 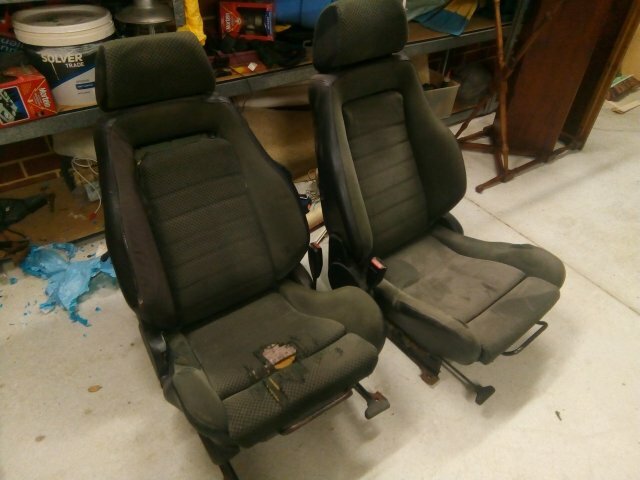 – Been Searching for the “hi-lo” Black-Grey cloth JPS e30′s used for the Recaro seats……if it is real, can get down to Lance to redo the original seats! !